Join us in the heart of Old Town at Bonnum Pub to mingle with eco-friendly people, talk sustainability over a drink and tasty food. 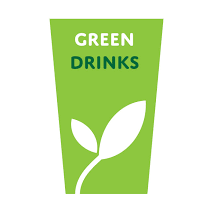 Green Drinks is for anyone involved in the environment and related fields. Freelancers and consultants, green entrepreneurs, groups / NGOs, students, academics, employees of government departments and local authorities, younger as well as older people so please forward this invitation to anyone you think might be interested in meeting other people related to sustainability. Our goal is to bring together eco-friendly people and help shape a future that’s green and sustainable.and create a conversation where individuals can share ideas and opportunities, or gain support for a cause. We meet the second Tuesday of every month at 7 pm in different venues to support local business and Bonn’s growing sustainability eco-system.